“It is a name that will convey a sense of magnificence,” said Irish Ferries managing director Andrew Sheen. 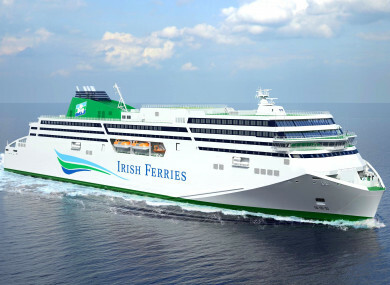 IRISH FERRIES HAS chosen to name its new €144 million cruise ferry after famed poet WB Yeats. Yeats’ name was chosen after an online competition attracted 100,000 entries, the company said. A Leitrim man who suggested the name, Lee Maxwell, has won free travel for life from Irish Ferries after he was one of those who suggested Yeats. Currently being built in Germany, the WB Yeats will have space for 1,885 passengers and crew, 1,200 cars and 440 cabins including luxury suites with their own private balconies. The ship will also have á la carte and self-service restaurants, cinemas, a shopping centre, a choice of bars and lounges, exclusive areas for freight drivers and dedicated facilities for pets. The choice of Yeats follows the tradition of Irish Ferries’ ships given names from the world of Irish literature, such as James Joyce’s Ulysses. Its managing director, Andrew Sheen said: “In choosing WB Yeats from the many whose works are revered by Irish people and students of literature the world over, we have selected one that will give the new vessel its own distinct identity and stir memories of a poet who is held in high esteem by so many, here and abroad. It is a name that will convey a sense of the magnificence and grandeur that passengers can expect when travelling on our new vessel. The ship is expected to be ready next summer, when it will serve Dublin – Holyhead and Ireland – France routes. Email “WB Yeats chosen as name for new €144 million Irish cruise ferry”. Feedback on “WB Yeats chosen as name for new €144 million Irish cruise ferry”.